Sign up and receive Property Email Alerts of Offices to let in Bryanston, Sandton. Knightsbridge Development is a redevelopment office park, based in Bryanston, Johannesburg.This prime located office development boasts 29,352sqm in terms of GLA office space.The Knightsbridge development, located in Sloane Street opposite the Didata Campus, started in November 2015 and was completed in May 2017. 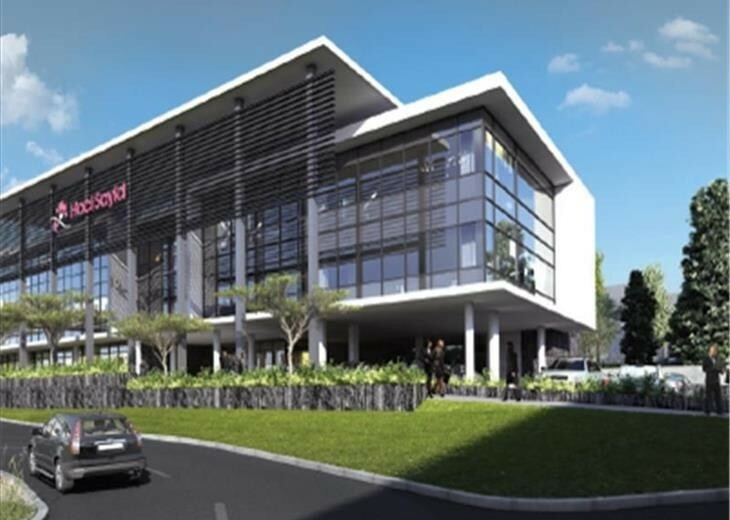 The new Knightsbridge is a P-grade, resource-efficient and green rated office complex and the entire office park has achieve a 4-Star Green Star SA rating. By applying innovative technology and design methodologies that can help minimise the buildings carbon footprint. Bryanston is a growing business hub, therefore, Knightsbridge development responds to the great demand for offices in the area. Sign-up and receive Property Email Alerts of Offices to let in Bryanston, Sandton.